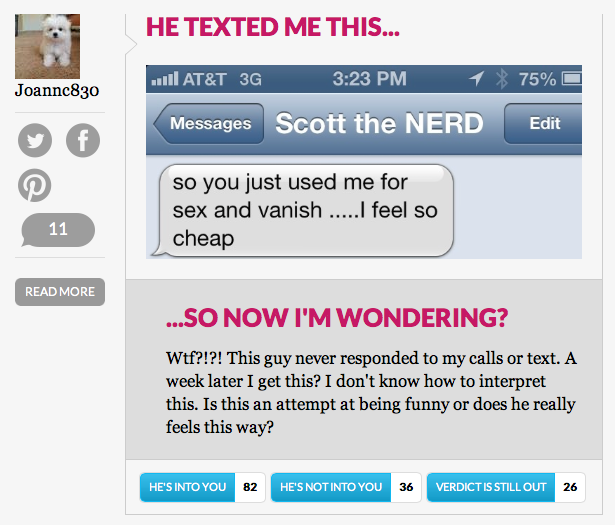 As if text messages weren't ambiguous enough, when they're coming from a guy, sent to a girl they're even more illusive. Add a layer of being single and flirty and it's just complete chaos. Does he like me, like me? Does he hate me? Does he think I'm a friend? 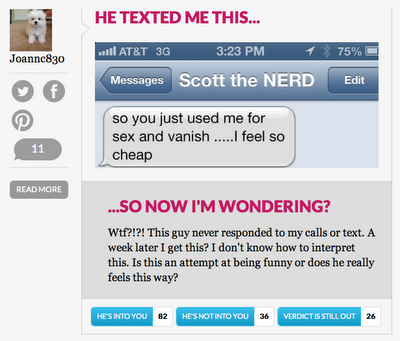 Thankfully there's now a website for that called HeTexted where girls can share a screenshot of what he texted her and users can vote whether he's into her or not. Incredibly useful for those overanalyzers out there.